Murphy & Dittenhafer Architects treasures the “Good Design = Good Business” awards it has won from the Central Pennsylvania and Baltimore chapters of the American Institute of Architects more than any other accolade because this is evidence that the architecture directly benefits clients. Dittenhafer says choosing favorites from the numerous “Good Design = Good Business” awards his firm has won is difficult, “like picking which of your children you like best.” But three projects stand out because of how they are impacting their communities. The term Dittenhafer uses to describe each of these designs, two of which rehabbed existing buildings and one which created an entirely new structure, is engaging. “The spaces must be visually engaging, inspiring environments for employees, and be fresh and new for workers, customers, and visitors,” he says. When re-purposing existing buildings, it is vital to have care, sensitivity and respect for the historical fabric of the structure. While doing this, the design must make the building have current-day viability and be sustainable in terms of longevity and engagement with everyone who uses the site. 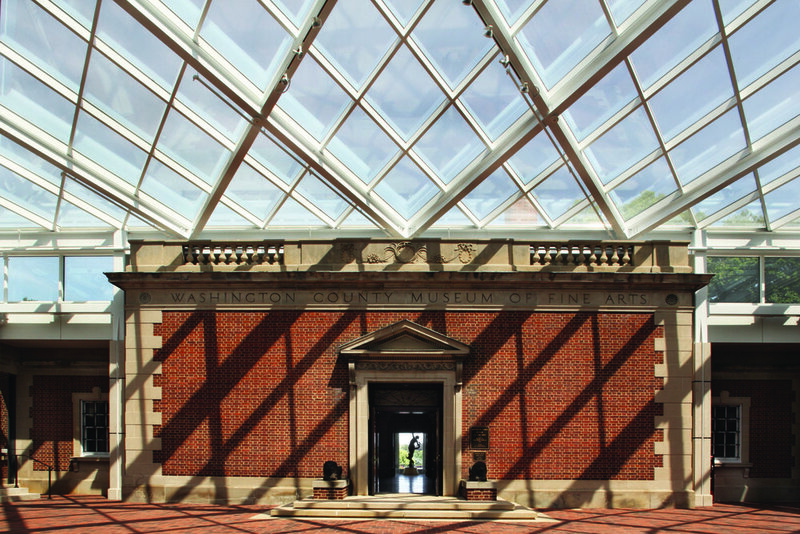 These factors all came into play in M&D’s redoing of the courtyard entrance to the 80-year-old Washington County Museum of Fine Arts in Maryland. Murphy & DIttenhafer Architects made the museum more inviting to the community, by making the entryway modern and welcoming. 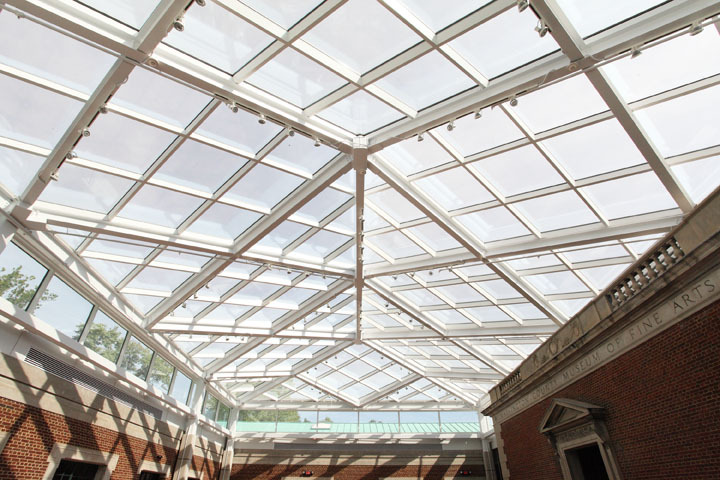 Going beyond purely functional made the museum entryway an attraction drawing more visitors, thus a good business result for the museum. The University of Baltimore was a well-respected school, but something was missing. “This university had quality academics, well-known law and business schools, but the setting wasn’t attractive. There was no place just for students,” Dittenhafer says. 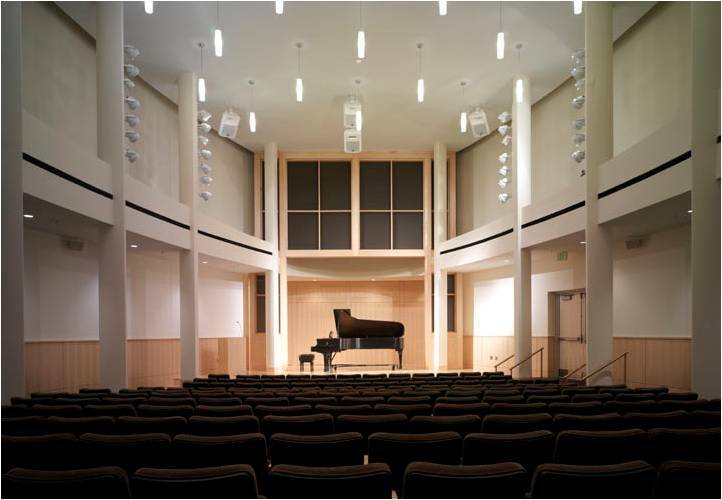 M&D constructed a five-story student center on a prominent corner of campus. The building has many windows for natural light. 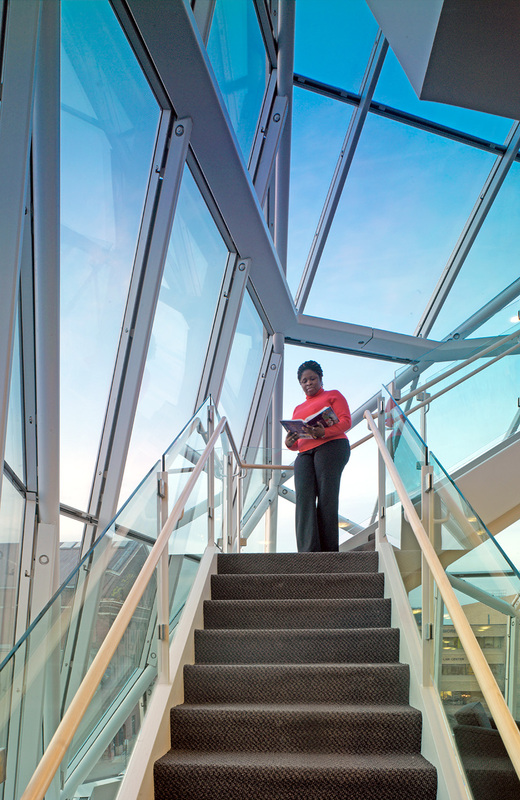 The corners, on every level, are for students, housing lounges and collaborative study areas. The building rejuvenated and rebranded the entire university. A project with a special place in Dittenhafer’s heart is rehabbing York’s Central Market House. “I view this building as the architectural gem of York City,” Dittenhafer says. But very little had been done to the building since it was constructed in the late 1800s. Dittenhafer describes the occasional facility modifications as haphazard attempts, insensitively done and not accomplishing much. Empty vendor spaces, aging infrastructure, and bad customer experiences meant a comprehensive redo was in order. “We did this by working with the building, not against it,” he says. Key design elements involved were to install new heating, making it easier for vendors to tap into utilities, and work not often associated with architectural design, such as upgrading the restrooms. “We made it all about the vendors and customers. We looked at it holistically, exploring every nook and cranny, and did it sensitively,” Dittenhafer says. With pride, he sees the result as a Central Market looked at as the heart of a resurgent downtown York, his town. For an investment of just over $2 million, the market, Dittenhafer believes, is seeing a return on improvements comparable to investments of $5 to $7 million or more made at other urban markets. 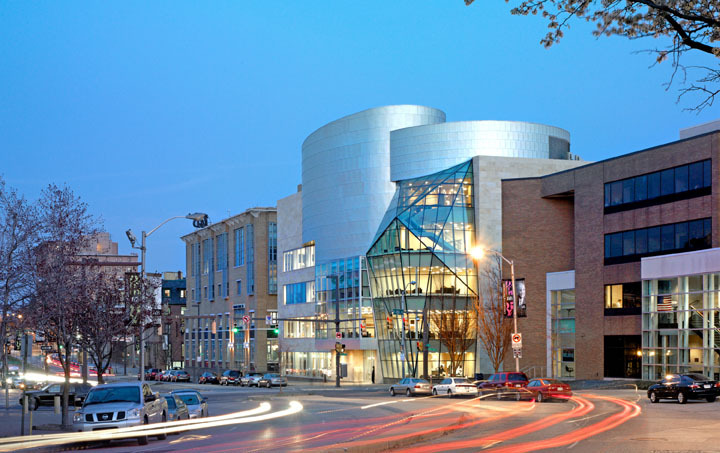 These projects that won awards exemplify Murphy & Dittenhafer Architects’ goal. “We want our designs to inspire and engage people,” Dittenhafer says. But to him and his firm, it isn’t necessarily about the recognition.